After 19 years of ballet shoes, tap shoes, jazz shoes, chorus shoes, pointe shoes, hair pins, stockings, ladders, make up, false eye lashes, costumes, dance fees, eisteddfods, dance weeks, concerts and so many amazing opportunities, it’s all coming to an end. Not usually one to make too many public comments, it is with smiles and tears I feel the need to write this letter, to share my thoughts and feelings with all our dancing community. 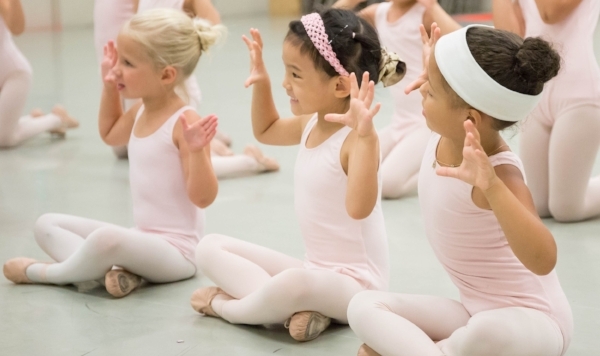 After placing my eldest daughter at two years of age into dance classes to channel her endless energy, I would never have thought of it lasting this long. Needless to say, I have never ‘pushed’ my girls to dance, but was pulled (maybe dragged at times) along on this journey and I’m so glad I was. Dance truly became a ‘family’ and I don’t think the feeling is easy to explain to others that are not connected to this. The contagion of the dancing bug was infectious. Emotions are always close to the surface in the performing arts and learning to manage these as students, as well as parents, grow and change has definitely been part of the journey. • Appreciate your dance teachers and staff. They put their heart and soul in this for you, not the money. • You can’t do everything in life, so make priorities. • Dancing is a team activity. A dance group is a team and you have a commitment to your friends and teachers. • Eisteddfods are never about the prize, or the money. Awards are truly just the icing on the cake of what should always be about being your celebrating your best efforts and own hard work through your love of dance. • Being the bigger person; to be happy for the success of others despite your own disappointments. • As a dance Mum and dancer it’s important not to get caught up in the emotion, drama and gossip that can occur with the adrenalin of performing and competition. So much easier said than done at times. • Appreciating yourself and not comparing yourself to others. • Through all the ups and downs, life-long friends are made. • A positive work ethic is nurtured. • Hard work and passion can trump talent! You see their hearts on stage, not their feet. • Resilience! Sometimes no matter how hard you work, you don’t get what you want. Don’t give up! • Breaking out of your comfort zone is good. You never really grow unless you learn how to fail well. • Being able to multi-task and prioritise your life i.e. school, dance, work, friends. • Thriving under pressure especially back stage. • How to be organised. • Loving to dance and appreciating the arts. The last two decades of dance are drawing to a close, as our youngest daughter completes her dance education, and I can’t help but reflect on what has been the most amazing part of our families’ lives.